The first influence in Delphine Bernard's art captures the raw power of creativity, which is left to express itself fully, totally, without constraint or boundary. 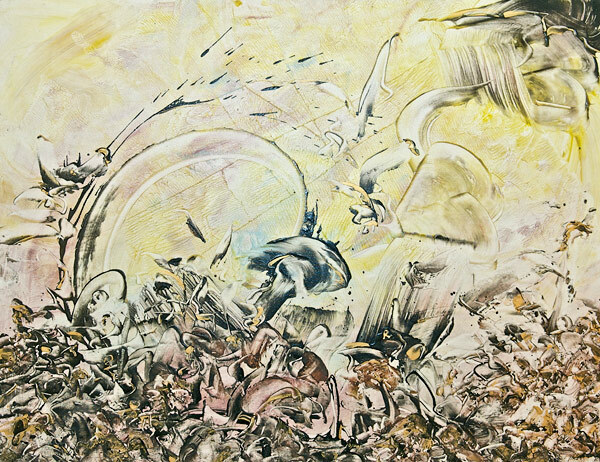 Through her painting, the primitive forces of nature and its sheer brutal energy are unleashed, evoking the primordial theme of The Battle - the battle of the elements, the battles and wars that divide and shape humanity. Visit my online gallery Delphine Bernard!